During this week every child will get a certificate, photo with his instructor and extra play time so make sure you will be there. 👉PLEASE NOTE that bookings are done on a first come first serve basis. ➡️During the week of the 2nd of April up until the 7th of Apr, our team will assess your kids. This will determine who will pass into the next level or who needs a little more practice in the level that they are in. 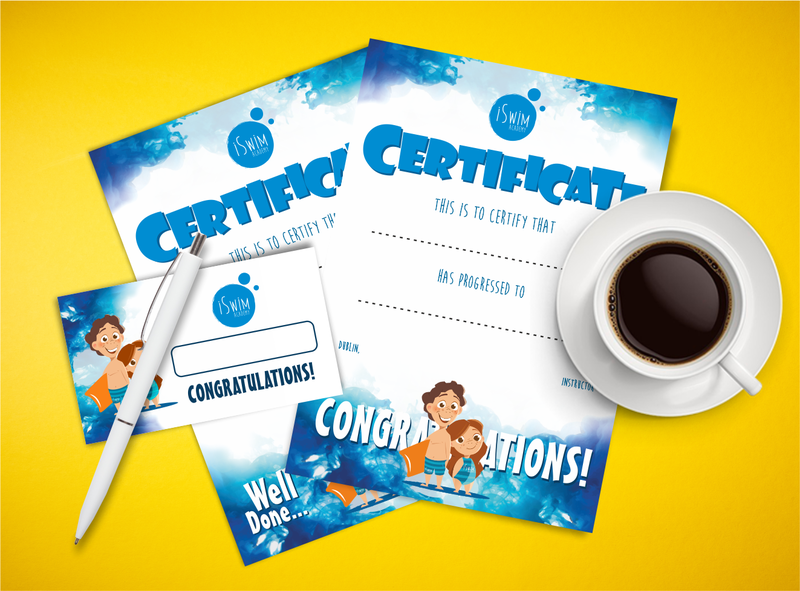 The kids will get a card at the end of the lesson to state whether they have been successful with their new level or not. Help them become great swimmers during this Break! ✅Get your child a 1 month’s worth of swimming in just 1 week with us! ➡️These daily lessons are a great way of improving technique and skills in such a short time. Tomorrow’s classes on 19th of March in Saint James’s Gate are on so everything goes back to normal after Spring Break. Please remember from 12th of March till 18th of March the swimming lessons are off. During this time please contact us by email : info@iswim.ie, facebook or text messages. Please remember from 18th of February till 24th of February the swimming lessons are off. Enjoy your Mid-Term Break ! Homework: Go to the pool with your children during the mid-term break and enjoy your family time! Yesterday we started our Winter term in Westwood Clontarf. We were so happy that we could meet you again. Who was swimming with us? ➡️ Would you like to join our Academy this term?